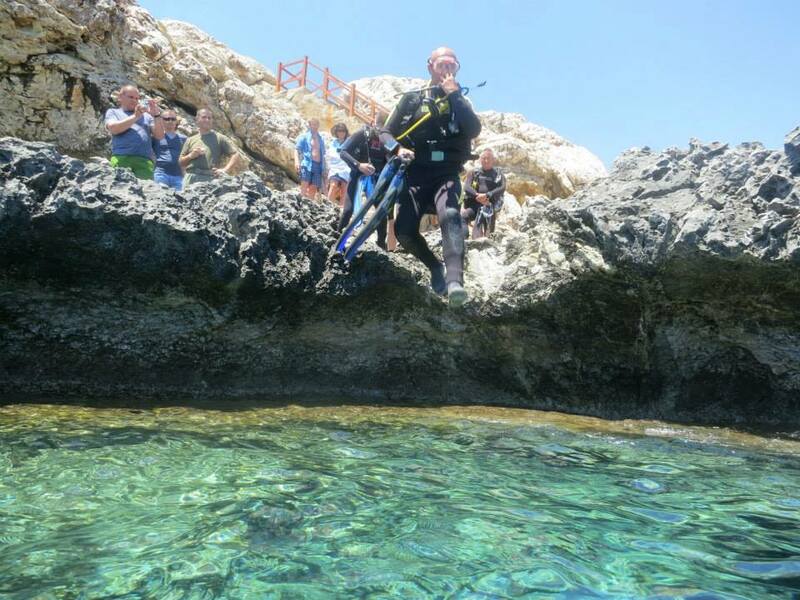 Located in a an idyllic setting on the Cape Grekko coastline of Cyprus, The Chapel is a popular dive site that is visited on a regular basis by many divers both tourists and locals. The dive site is not suitable for beginners and divers wanting to dive the Chapel must be Open Water Diver or equivalent or above. 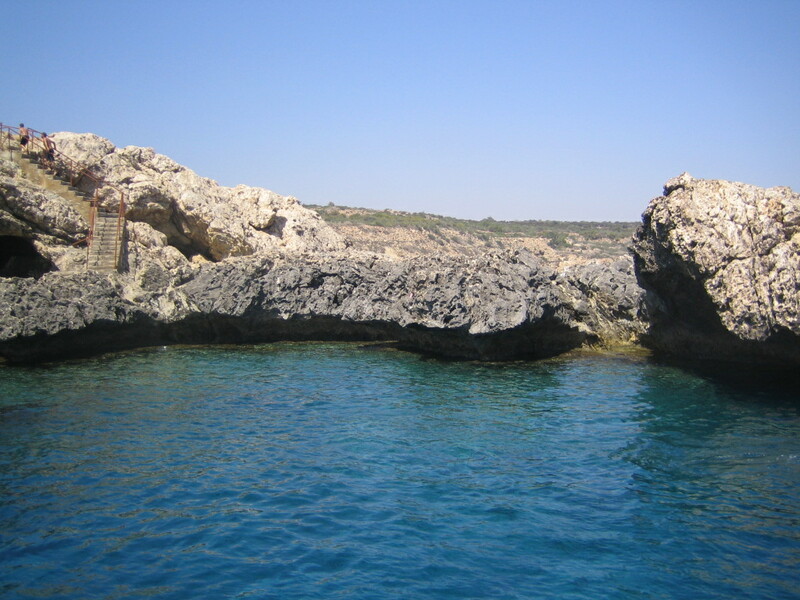 The dive site is named ‘The Chapel’ simply because of its location at the foot of the cliffs to which a traditional small white Chapel sits on. As you approach the Chapel, you will be met by fabulous views across Cape Grekko and also across to Konnoss bay. In the summer months, you can normally see many large yachts moored up in the crystal clear waters that the bay has to offer. 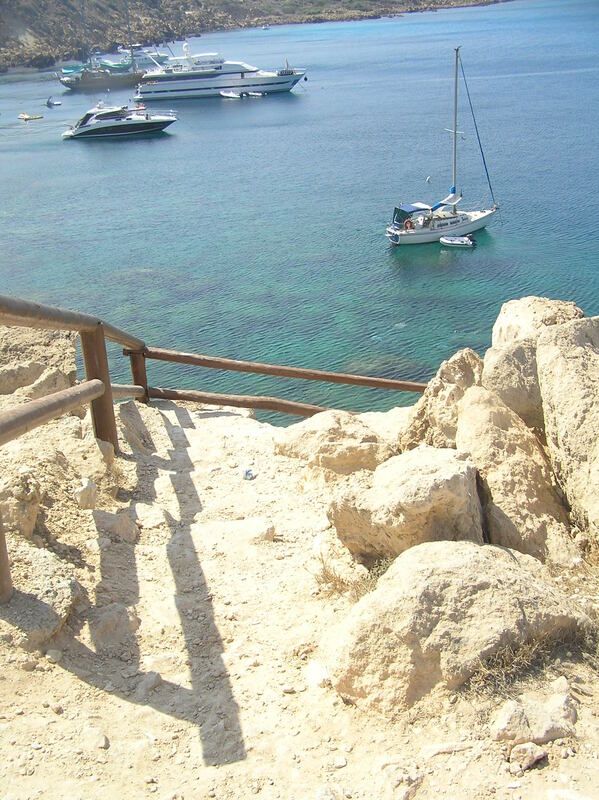 The area is also a popular spot for the thrill seekers who often congregate on the cliff tops to jump off the cliffs into the water below. 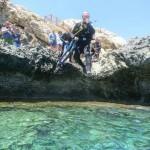 The Chapel is a dive site with lots going on and it caters for Open Water Divers and above. The Chapel has two points of entry, one of which is a nice stroll down a winding path with easy access to the water and the other is a giant stride from the rocks. If you take the option to enter the water using a giant stride, the water drops down to 12 meters along the wall of the cliff face, to which the Chapel sits at the top of, This is the cliff from which the brave (or the daft depending which way you look at it) people like to jump from. When you are underneath the water, you can see these people hit the water then you see there legs frantically kicking to get them back to the surface as soon as possible. Actually, it can be quite humerous to watch and certainly passes the time when you are doing your safety stops!. As you proceed on your dive from this entrance, it takes you along the wall at around 10m. This is where you can sometimes find lots of items that have been lost by the people jumping from the cliffs and have either not secure the items properly of they have simply forgotten they had them in their pockets! You will be amased at what you actually see and what people lose out of the pockets. Watches, rings, mobile phones and items of clothing have all been found around this dive site, so keep your eyes peeled,as you never know what you might find! A little further around the corner, the dive then starts decending to a depth of around 30 metres and at this point, you see some wonderful rock formations, that provide homes to many Moray Eels. If you turn your head, you can look out into the wide expanse of blue and this is where I myself have seen Rays on several occasions. 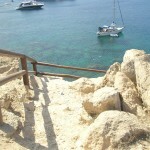 As you make your way back to the exit point, you will make your way up and over the headland. This is where you will see many overhangs and Amphora that is scattered around the seabed, it is also where you make your safety stop before ascending safely to the surface. Using the path down to the entrance point is the easiest option. The actually entrance consists of a nice gentle step onto the rocks and then it is simply a gentle roll in, which allows you to safely put your fins on in the water. As you start your dive, you will see all the Amphora scattered across the seabed. 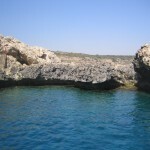 You will then follow the coastline along towards Konnos Bay and this will be at a maximum depth of 16 metres. This is where the many yachts moor up and many of them are owned by some rich and famous people. Some of the Yachts are very big and finning underneath them can be an experience in itself! There is a variety of things to see on this dive from the many different rock formations to the varied species of marine life. 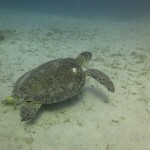 Such sea life as Cornet fish, Jacks, Tuna can all be found at this dive site and I have also seen the odd turtle here too! If you require more information about The Chapel, please contact us.